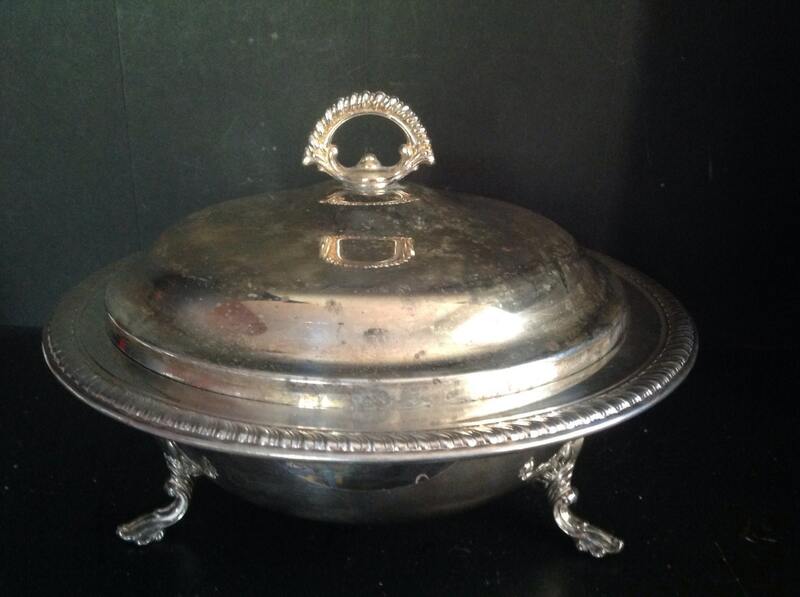 This vintage silverplate lidded casserole serving dish has the prettiest little decorative feet! 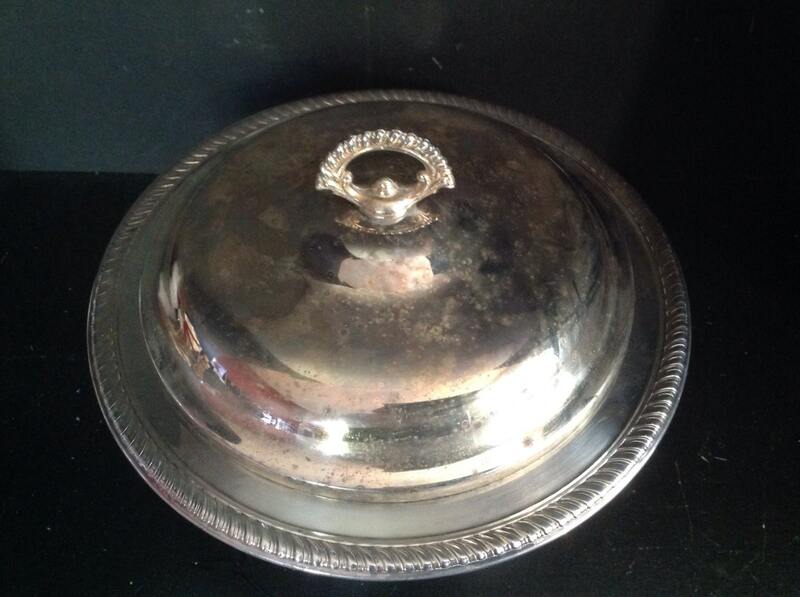 Made by B. F. Rogers Silver Co. in Taunton Mass. 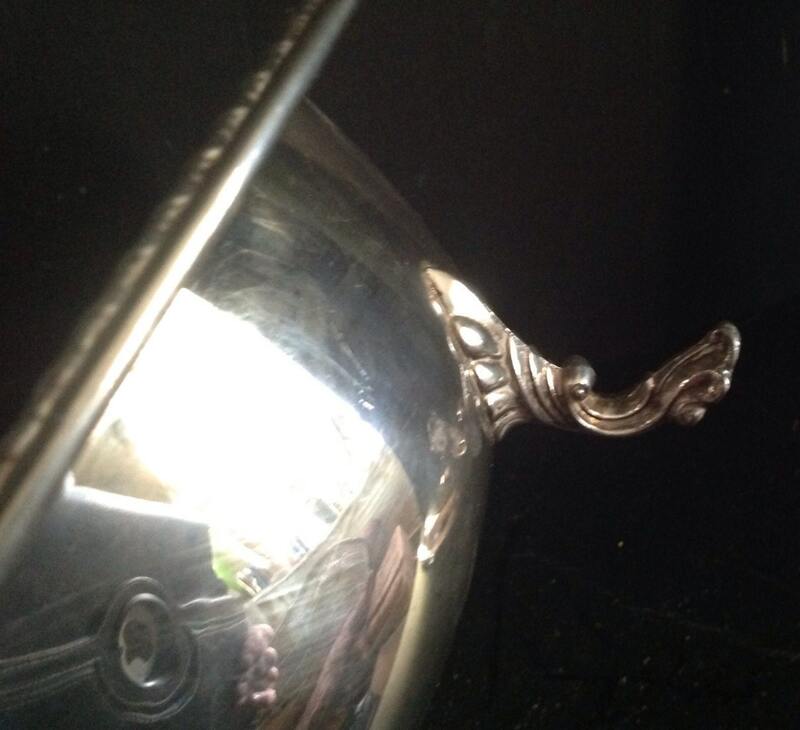 , it also features a twisted rope handle and edging. 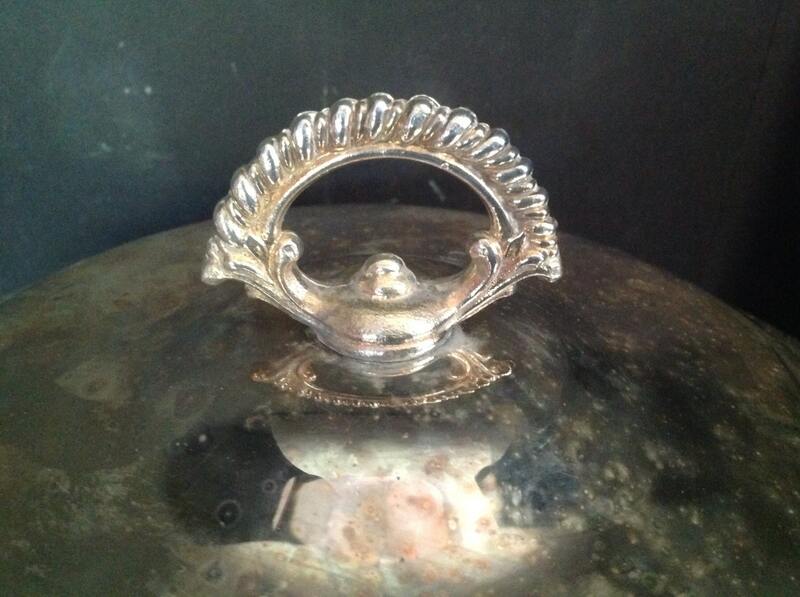 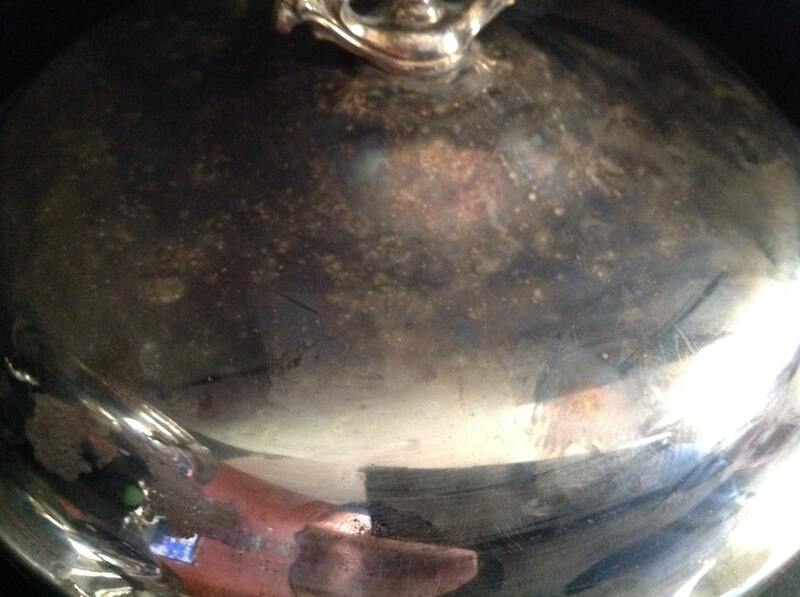 The lid has oxidadized as tarnish, but the inside bowl is tarnish free.